The 2014 Canadian Film Fest continues tonight with more screenings, first up is Ted Bezaire’s comedy, The Birder, which is preceded by the hilarious short, The Golden Ticket from Patrick Hagarty. Hagarty’s short is highly enjoyable, it seems Bradley Moore (Michal Grajewski) is having a very bad day. His girlfriend (Melanie Scofano) is leaving him for a hockey player (Bitten’s Steve Lund), he’s being evicted by his landlord (Kris Siddiqi), and he’s just been fired from his job. As he lets loose his anger, he’s met by a mysterious man (Carlo Rota – who has the best delivery and speaking voice, possibly EVER), who offers him a golden ticket that will let him do anything he likes for 24 hours without repercussions. Bradley snatches the opportunity and off he goes! Getting even with those around him, and doing everything he always wanted to… but what happens when the 24 hours are up? A fast-moving and very funny story that makes us ask ourselves why we aren’t seizing our lives like this everyday. Grajewski is hilarious playing the right amount of humor in pathos in the situation, and some of the lines are simply brilliant! I laughed a lot!! This one is a great start to the evening! 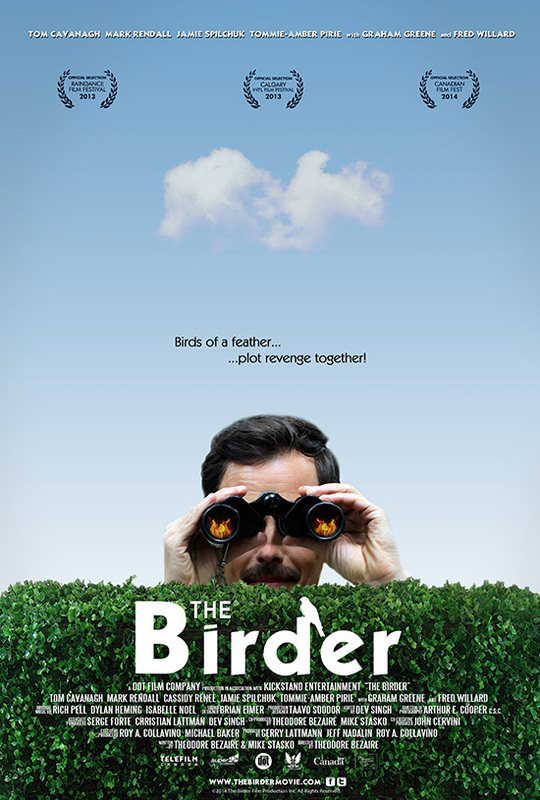 The Birder, the feature paired with The Golden Ticket, is a gentle and humorous tale that features a great performance by Tom Cavanagh. He play Ron Spencer, a high school teacher with a passion for Ornithology. He has a daughter, Samantha (Cassidy Renee), who idolizes him and shares his love for birds. They are both convinced that we will be named the new Head of Ornithology at the local national park. Ron’s dreams are shattered when the president of the park, played by Fred Ward, reveals that the new department head will be a young, hip birder named Floyd (Jamie Spilchuk), who may be just what the park needs to bring in those younger folks! Aided by a janitor, Ben (Mark Rendall), who is convinced that Floyd is trying to woo his ex-girlfriend, Laura (Tommie-Amber Pirie), the two pair up and try to take Floyd down, and hopefully claim the treasured position that Ron felt should have been his from the get-go. 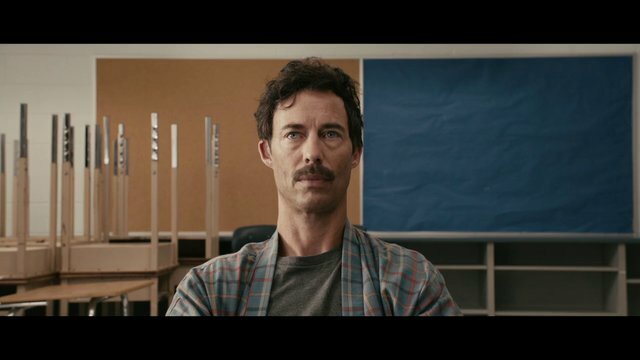 This one is filled with chuckles, and is built solidly around Cavanagh’s performance. Ron loves what he does, and he doesn’t let the hold-ups, like being kicked out of his ex-wife’s house, or living in the school, bring him down. He’s focussed on what he loves, his daughter and his dream job. Graham Greene is seen passingly through the film, in a couple of funny moments with Rendall’s character, and provides the two heroes with the ammunition for their final assault on all things Floyd. At its heart, the film is about following your passions, but making sure you don’t hurt others who you may perceive to be in your way. This screening starts this evening at 7pm at the Royal Theatre, get your tickets at the door!